Calling property apprentices! Do you have what it takes for an exciting career with one of the South East’s biggest independent companies? Andrew Huet has recently joined SHW in the Brighton office on the Surveyor’s Technician Apprentice Scheme and this week he celebrated his 18th birthday. Andrew is part of our busy Business Space Division, and we are giving Andrew the support, guidance, experience and training necessary to become a Chartered Surveyor. 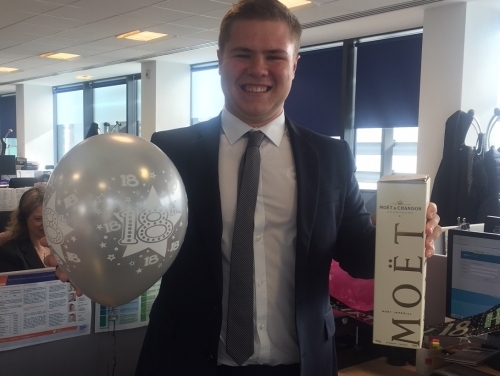 We would like to wish Andrew a very happy 18th birthday and the best of luck as he embarks on his career in property.